While the government has made great strides in technology to ensure faster processing of applications, things are still not always user-friendly. The recent confusion and queuing up at physical centers for the mandatory PAN-Aadhaar linking is proof of that. People face a lot of inconveniences since official websites hang up or return strange results even after applicants have entered the required data and filled all the spaces in the online forms, forcing them to gather at physical centers, but even there the systems aren’t able to handle the load. A lot of that can be blamed on server issues faced by the various government websites. Server issues have struck important websites such as IRCTC, which is the Indian Railways website, and the income tax (IT) department website. In fact, the government was forced to extend the last date for income tax returns (ITR) for the 2017-2018 assessment period from July 31, 2017, to August 5, 2017, as a result of its servers being unable to accommodate the load of traffic and applications. The Deccan Chronicle reports that technical glitches in the government website have also affected the mandatory PAN card–Aadhaar linking. As a result, people are queuing up at physical Aadhaar centers for linking, and even that seems to be fraught with glitches. The deadline for the linking has been extended to August 31. The income tax website keeps facing server issues now and then. Even apart from the extension of the last date to file income tax returns, the IT website has been having problems periodically. In May, the Times of India reported that the IT department’s e-portal service did not launch smoothly in Bengaluru’s taxpayers’ lounge. The issue was blamed on a system upgrade for protecting the computers from the WannaCry ransomware. Other parts of the country also faced this problem since the system upgrade was being carried out centrally in New Delhi. Traders in Tumkur, Karnataka could not carry out online filing of their VAT (value added tax) returns since the server couldn’t connect. With May 20 being the initial deadline to file VAT returns, it sent the traders into panic mode. If the tax amount exceeds Rs. 10,000, it must be paid online, but each time the traders tried paying online the transaction would fail. It was clear that the government needed to extend the deadline since traders could be penalized for not filing tax returns by the 20th of each month. In this case, it isn’t the traders’ fault at all. So why are these registered private IT filing websites more user-friendly? They do charge a fee for their services because they don’t leave the user to handle everything singlehandedly, unlike the income tax online portal. They also use a cloud-based user interface without the user having to download any software. There are reputable cloud service providers which government websites could employ for better server management and more efficient functioning. Indian Railways has employed the RailCloud virtual server featuring a security system built in to ensure faster connectivity. It employs cloud computing and is developed by the RailTel public sector undertaking for around Rs. 53 crores. It is expected to optimize server management and resources. It can deploy server resources faster, which reduces the operating costs. But with cloud services such as AWS, companies don’t need to make such massive initial investment. When you think of world class cloud services, Amazon Web Services (AWS) immediately springs to mind. It’s got a suite of services which governmental organizations and companies would do well to make use of. It offers management tools, application services, developer tools, analytics, application services, etc. It also offers efficient database migration solutions. Access a range application services through the Internet. The cloud services platform maintains all the required hardware for this. Companies only need to manage and use all the data through a web application. Databases can be accessed and forms can be processed faster since the data and resources needed are just a click away. The organization becomes more agile and responsive. The time taken is significantly reduced. 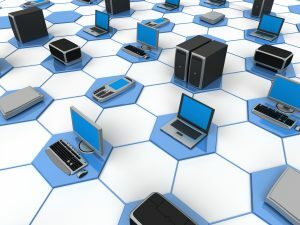 Cloud computing companies have the infrastructure and experience to maintain the required hardware and carry out the transfer of data efficiently. There’s also massive savings in cost! Agencies, organizations, and companies don’t need to maintain data centers. 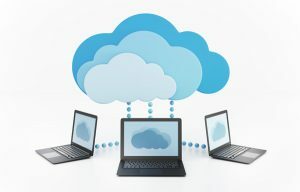 With cloud computing, the service providers maintain all the required hardware. Clients can focus their resources on other aspects of their business and not worry about the infrastructure. Cloud service providers such as AWS attain higher economies of scale since they have a large number of customers aggregated in the cloud. So the price for using these cloud services is competitive, and there’s no massive upfront investment involved. 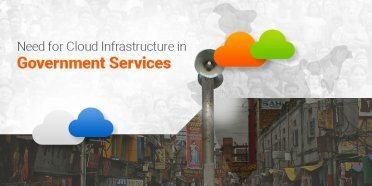 Government agencies and organizations in India can significantly benefit from cloud computing, which ultimately reduces hassles for the public. With solutions such as AWS, the possibilities are greater.